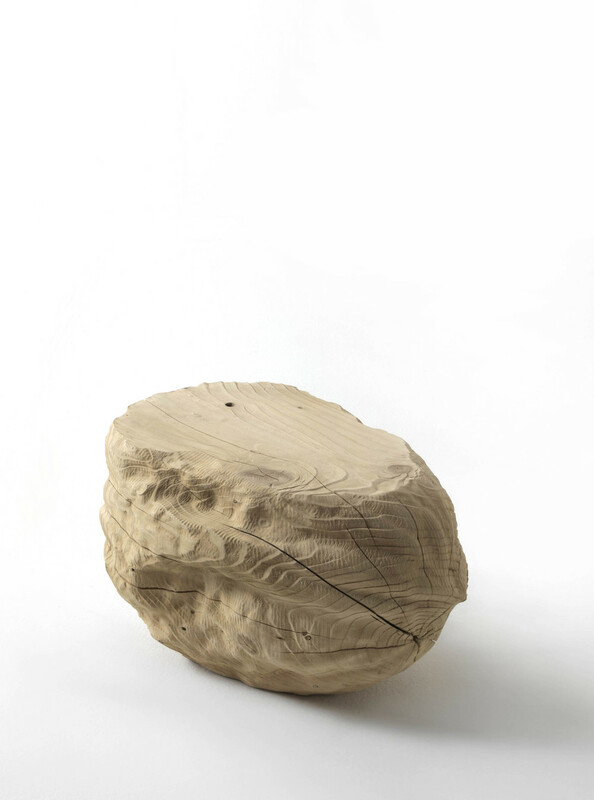 Animated by a spirit of playful immagination, Vito Nesta creates for Riva 1920, NOCE: a stool entirely made of solid cedarwood. Interpreting the main theme of EXPO 2015, nutrition, Vito Nesta playfully observes this fruit through a "magnifying glass", as wanting to underline its beneficial properties. Eventual cracks and fissures that can be found on the product, whether at the time of the purchase or afterwards, are to be considered entirely normal, being typical of solid wood. Or better, it's a distinguishing mark of quality of this kind of wood being in motion both in its aging and seasoning phase and following variations of the environmental conditions, in particular those pertaining to humidity in the air.